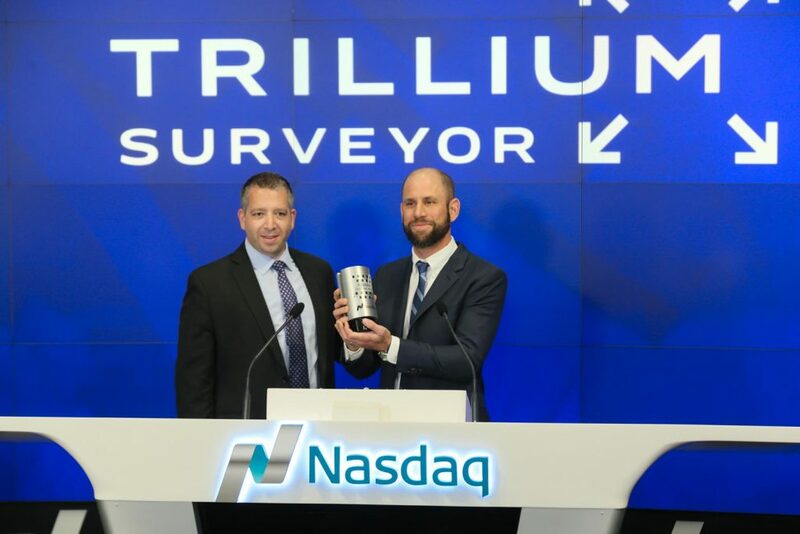 Trillium Surveyor was honored on April 29th to be invited by Nasdaq to host the Closing Bell Ceremony and ring the market out for the day. 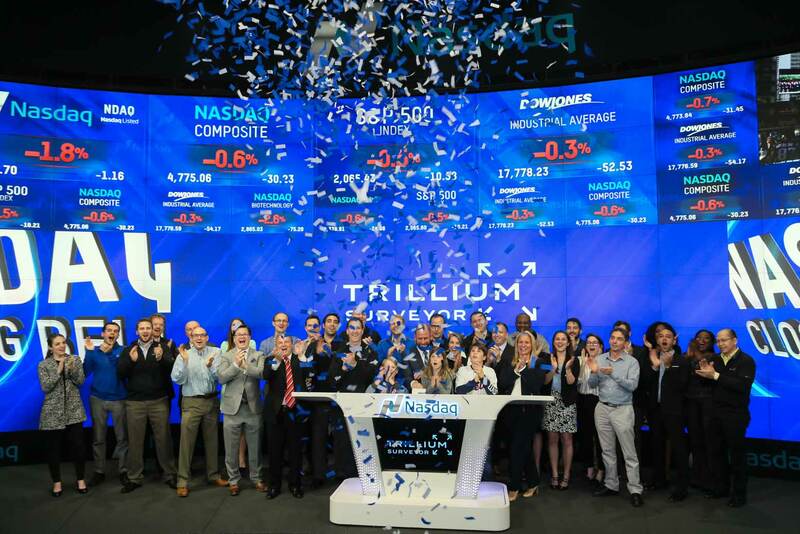 The team came to the Nasdaq studio for the event, and Lee Maschler, Trillium Chairman, was presented with an award. 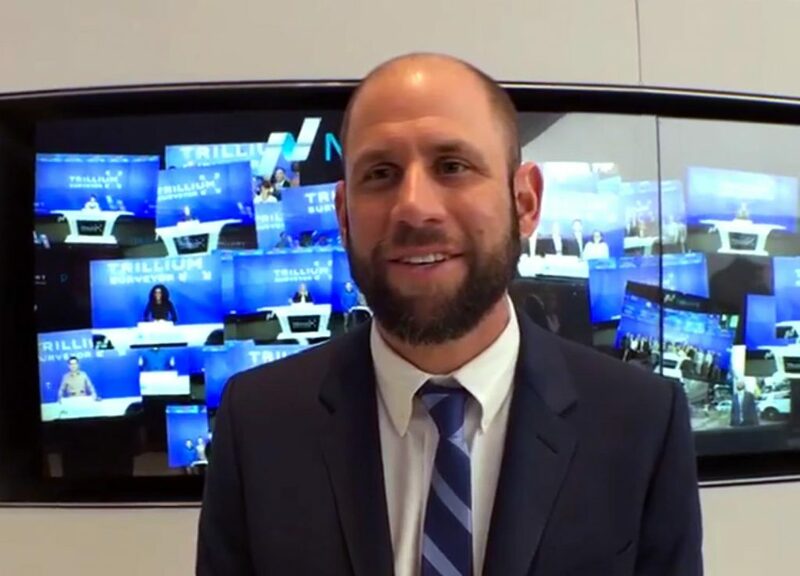 Lee gave a speech to the studio audience, as well as to viewers on four television live networks, and Nasdaq’s online livestream. 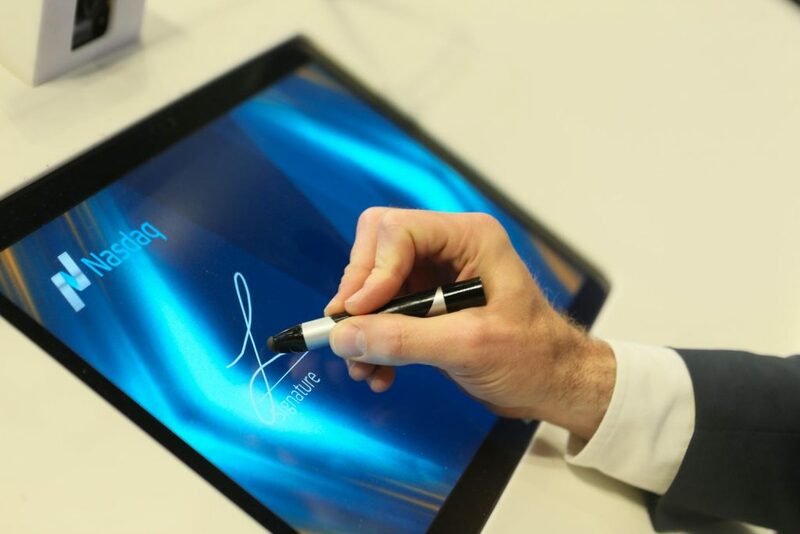 Afterwards, he left his signature on behalf of the Trillium Surveyor team. See Lee’s speech and more footage from the event, recorded in the video above. Lee was also interviewed for the Facebook live video feed of the event, which you watch by clicking here, or on the video still below. 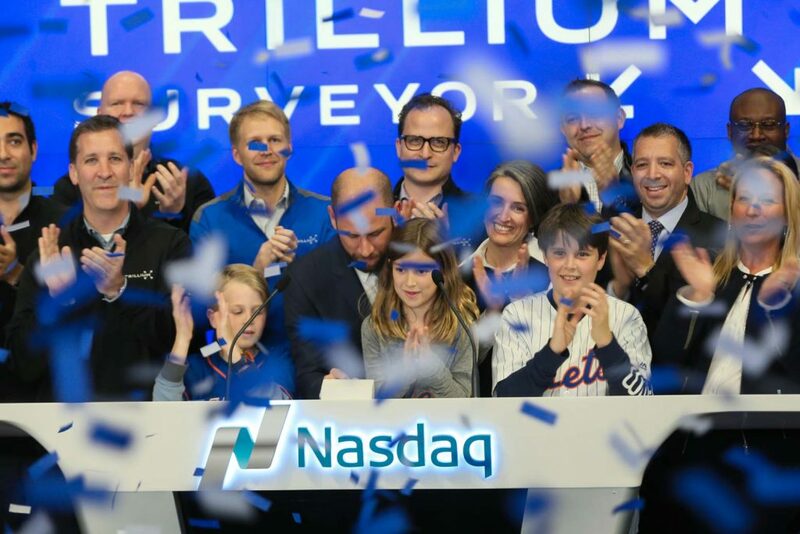 Alongside the ceremony at the studio, Surveyor was featured on the Times Square 7-story tall Nasdaq tower video display and marquee for an hour. 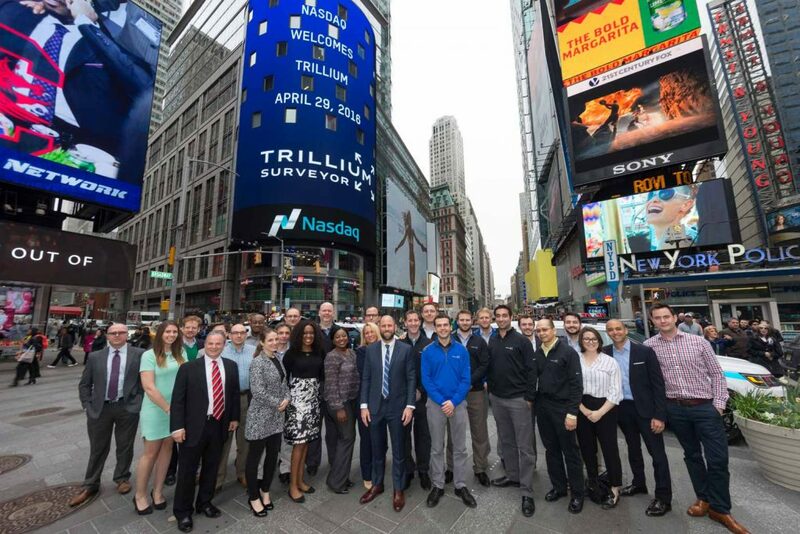 The whole Trillium Surveyor team is deeply honored to have been invited by Nasdaq to close the market, and the recognition for Surveyor as a leading tool to detect spoofing, layering, and other market manipulations.